Our Ladies Open is being held on Friday 1st July and we hope you or someone you know would like to come and play. We have combined the Cameron, Valentine and Seniors competition to make one all encompassing Ladies Open, in an effort to attract a good entry. 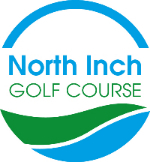 We have also increased the prize fund and hope that many lady golfers from Perth and Kinross and beyond will come and play our ever improving golf course. We will have prizes for Scratch (Cameron Trophy), Handicap (Valentine Trophy), Over 60's Scratch and Handicap, along with straightest drive and 2x nearest the pin. This should be a great fun day and we hope that you can join us or pass this information onto someone who may be interested in playing. The competition is now full 'Open' and no longer restricted to residents of Perth and Kinross, so if you know someone from further afield, then please let them know. Entry forms are available from the starters box or can be downloaded from our website by Clicking Here.